One of the many reasons why we're so much better at helping you with everything Weber than our competitors is the approach we take with our team. We're a close-knit group of Weber enthusiasts with years of BBQ experience and we only sell Weber, we're specialists. No other retailer is this dedicated to a single brand. You can find out more about us here. We back this up by using Weber BBQs every day, to cook lunch here at WOWBBQ HQ in London or at home with our families. So when we take on a new recruit, part of the training is to ensure that they know how to properly cook using a Weber BBQ. We call these our foundation BBQ skills and they're the bedrock of knowledge that helps us help you choose the right Weber BBQ and make the most out of it too. Beer can chicken using briquettes (and cleverly utilising a chimney starter) on a Weber Charcoal BBQ like the Weber Mastertouch allows you to demonstrate how to manage fuel for temperature control, cook indirectly, and with "lid down" cooking provide a perfectly cooked roast chicken that will knock spots off the results of your regular domestic oven. Easy but very rewarding - a great way to begin. Sausages need we say more? An oft overlooked BBQ hero that so frequently gets ruined by the inexperienced griller using a disposable BBQ. These should be cooked slowly to ensure they're not burnt on the outside and raw in the middle. We opt for the 50/50 method for stylish sear marks and well-cooked juicy sausage meat in the centre. A handy temperature thermometer will ensure the cooked sausage is safe to eat and perfectly cooked. Steak So many tried and tested methods for cooking the perfect steak but for us it has to be a thick steak cooked via reverse sear – slow cooked then seared quickly on cast iron at a red hot temperature to finish. Get this right and the results speak for themselves (and a steak is taken to the next level with a freshly made sauce like Chimichurri). Ribs Slow cooked, succulent and tender. A real BBQ treat and the cornerstone of most people's BBQ favourites. Cooking these well will serve you well in any BBQ arena. There are many ways to cook ribs and if you ever need advice on how to do so then you can call a Weber Expert. Chicken Thighs Thicker and more succulent that chicken breasts with a higher fat content. Simply scored and rubbed with your favourite spice blend. We think they're absolutely delicious. Another example of using the 50/50 method – direct then indirect – to ensure crisp skin and well-cooked yet juicy meat inside. ABT's Sides can make or break a good BBQ party and we love these. The prep can be a bit fiddly and time consuming so what better solution for us to enjoy them than by having our new team member make a big batch for us to tuck in to! On a serious note, these are taken to the next level with a low and slow cook and a generous infusion of smoke. A great introduction to using the Weber Smokey Mountain Cooker for the first time. Pulled Pork Utilising a Weber Smoker and the minion method, the pork shoulder meat should pull apart with ease and be full of delicious flavour. Utilising a rub, wood chunks, BBQ sauce and know-how. Brisket Graduation of the WOWBBQ Weber Expert training course is celebrated with fanfare, adoration and a generous serving of beef. Slow cooked for many hours to render the fat and sliced deftly across the grain for tender slices. Impressive. It's fun and we love BBQ but more importantly, we want you to have the confidence to not only buy a Weber BBQ from us but also get out there and use it, in all weathers and seasons. We talk with experience. All the training that takes place here at WOWBBQ HQ is backed up with the extensive training offered by Weber to all of their top tier Weber World Stores, you can visit our Weber World Store in London. Weber Grills are just too good to be used in the summer only. You'll get great results from your Weber BBQ in spring, autumn and winter; before you know it you'll be cooking your Christmas Turkey on your Weber BBQ too! We love showing off our BBQ prowess, you can check us out via our social media pages or watch our YouTube channel. 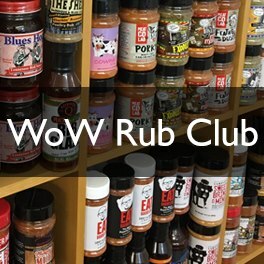 We're on Facebook, Twitter and Instagram (@wowbbq) too.